Evening 🙂 tonight i thought i would show you my mani tonight. 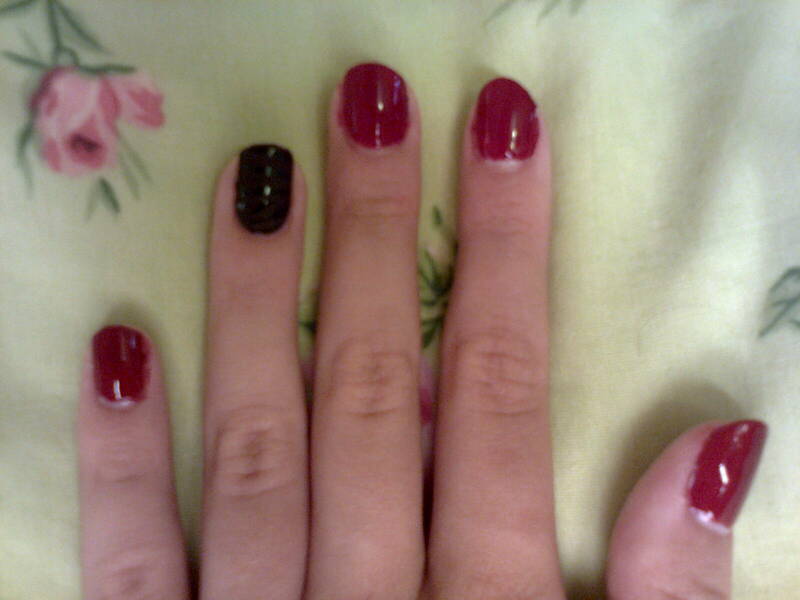 I have a few left over Essie ‘Sleek nail wraps and decided to use one alongside a dark red mani. This one is called ‘Sealed with a Kris’ and is by Nicole By OPI. 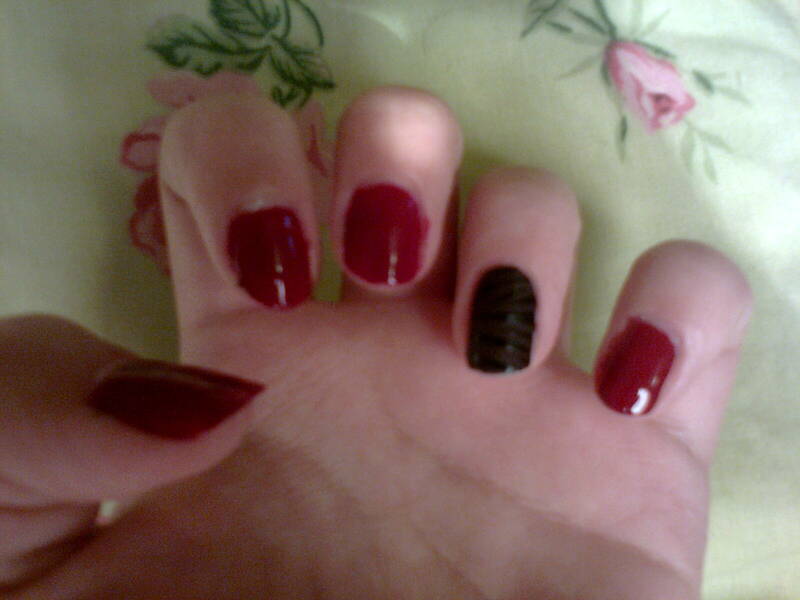 Please excuse the fact that my nails are slightly messy!